SkiSparks Clubs are adding registration for adaptive youth for the 2018-19 season. Look for the "Adaptive Skier" selections as part of club registration. Youth with physical disabilities that may limit the use of poles/s or lower leg impairments, visual impaired youth and sit skiers* are welcome. All skiers, adaptive and non-adaptive, will be in the same programming, with appropriate modifications made when necessary. We had a great time at Wirth Park on Saturday Feb 10th with Ski X (timed obstacle course) as part of the Skiwerx Series. 40 kids helped us test a new course on a beuatiful sunny day. If you missed it, you still have a chance, as we will be running this event again as part of Midwest jr Champs. Results linked below. Photoset arriving soon. "You can do more together than you can alone." As leaders of SkiSparks programs we are very in tune with the weather. Besides teaching kids how to ski, we also want to teach kids (and their parents) how to enjoy winter and be outside….even when its quite cold. There are a lot of health benefits to being outside in the winter, but we need to do it safely of course (and all of you are experts at this!). 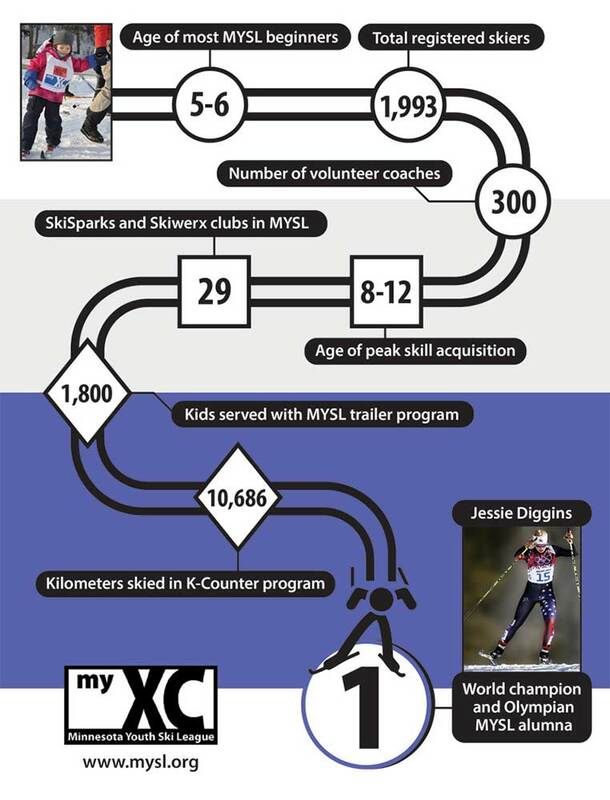 Schedules, rules and points for MN, WI and MI Skiwerx Series. Our own metro youth racing series complete with a fancy points system.